Be free of chafing and blisters! Our friends at Body Glide have a solution with their balms designed especially for us TrailblazerGirls and for our feet. 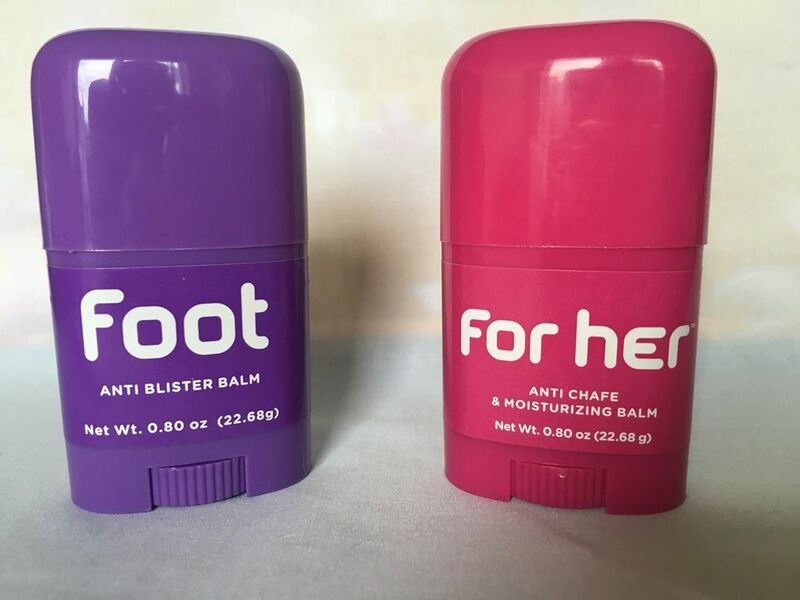 For Her has a vitamin enriched formula that can be applied to your inner thighs, under your arms or around your sports bra, anywhere that chafing may occur. The stick format makes it easy to put on without a mess – non-greasy and no worries about it staining your clothing. It’s sweat resistant, and the vitamins ensure your skin will be nice and hydrated. Foot Glide handles blisters like a dream. We are constantly plagued by blisters, and this mighty stick keeps those irritants at bay. Just like For Her, it’s water resistant, non-greasy and nonstaining. You need Body Glide, because it’s so much better to prevent the problems from happening than to treat them!